Barbie Collectibles formally announced changes for collectible Barbie dolls. New, sleek packaging has been created on top of an overhauling of the limited edition philosophy for the iconic dolls. 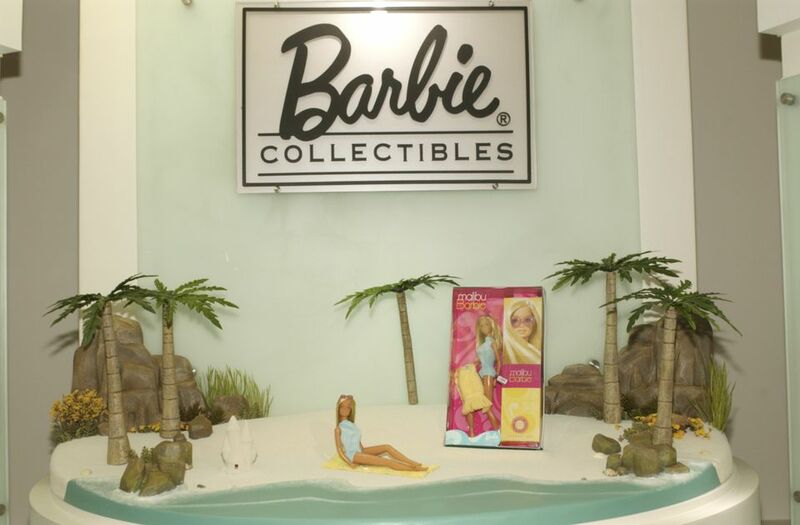 The company says it based the changes on input from the Barbie Collector Advisory Panel, doll dealers and collector interaction at conventions and doll shows, where Barbie doll collectors shared their thoughts about what they would like to see in the future. They would like dolls to stay limited in production number yet reasonably available. They'd like us to make the collecting hobby more exciting and find innovative ways to feature the beauty of the dolls in packaging. The new look for Barbie Collectibles, along with its new name, Barbie Collector, was ushered in with the Badgley Mischka Bride Barbie doll. Another major change is a four-tiered structure, which organizes the dolls released by Barbie Collector. This system helps collectors all be on the same page when they purchase a doll. Barbie collectible dolls are no longer designated as "Collector Edition" or "Limited Edition," as they were for many years. Instead, there is a color-coded system with each color level having its own per-doll production range, retail strategy, and new packaging. The packaging tells a collector which color tier the doll belongs to and lets the collector display the doll beautifully without having to de-box the doll. Since Barbie collectors often keep their dolls in boxes, collectors appreciate this packaging. Because Barbie has such a long and celebrated history with fashion, the names of the tiers have real fashion roots. Initially, the Barbie® Collector team looked at some of the most successful fashion designers currently on the market. In a way, our new label colors are our way of segmenting our collectible dolls and communicating to you where they might be found. The first tier is pink, Barbie's signature color. The Pink Label includes fun, keepsake dolls such as the Dolls of the World, The Princess Collection and the "I Love Lucy" celebrity dolls. Pink Label dolls come packaged in a box with a clear acetate front trimmed in pink, which makes a nice display for NRFB (never removed from box) dolls, which can be worth much more. The Pink Label dolls will not be limited in production numbers. Although all Barbie dealers can carry these dolls, shops such as Wal-Mart are their main destination. Select dolls will be available from the Barbie website and through the Barbie catalog as well. This tier includes the Birthday Wishes dolls. Each doll is limited to no more than 50,000 pieces created worldwide and comes packaged in a silver-trimmed "reveal" package, known as a new version of the "cake box package," which features a closed box with a beautiful doll photo or other artwork on the cover. To reveal the doll, the lid is removed and protected behind a layer of acetate. Sliding the top portion of the lid onto the packaging back will create an easel-type display, ideal for NRFB collectors. Silver Label dolls will be available at select retailers. Each doll in the Gold Label tier is limited to no more than 25,000 pieces created worldwide. Gold Label dolls include the Model of the Moment series. Previously, these dolls could be in editions as large as 35,000 dolls. Due to the glut of Barbie dolls on the market, the reduction in edition size will be a welcome change. Gold Label dolls include designer dolls such as the Bagley Mischka Bride doll, the first Barbie Collector doll. Gold Label dolls come in a "cake box" type package just like the Silver Label dolls, complete with the acetate layer to protect the dolls and the easel-style display packaging. Gold Label dolls also come with the artistic interpretive photography or other artwork on the gold-trimmed packaging lid and back. You can find Gold Label dolls at authorized Barbie doll dealers as well as at fine retailers. The last tier is the very limited Platinum Label. These dolls are produced in editions of less than 1,000 worldwide; the tier includes premium one-of-a-kind dolls available at select events, such as a Bob Mackie OOAK (one-of-a-kind) Barbie doll, created for Dream Halloween.